Scheduled over two days from Monday 23 January 2012 in the Supreme Court was the appeal of Electromagnetic Geoservices AS v Schlumburger Holdings Ltd, but this has settled. On Wednesday 25 January 2012 is the half-day directions hearing of Stanford International Bank Limited (acting by its joint liquidators) v Director of the Serious Fraud Office. It is for Lords Phillips, Brown and Kerr to determine whether there is an automatic right to appeal. The respondent has also sought leave to cross-appeal. The matter concerns a restraint order obtained by the SFO at the request of the US authorities over the English assets of an Antiguan bank which was allegedly involved in a Ponzi scheme. In the Privy Council starting on Wednesday 25 January 2012 in front of Lady Hale and Lords Hope, Mance, Clarke and Dyson is the matter of Dylan Simon v Manuel Paul Helmot, on appeal from the Court of Appeal of Guernsey. The respondent suffered significant injuries when he was stuck by a car driven by the appellant whilst riding his bicycle, and now requires 24 hour care. His mother and her partner are his guardians and next friends for the litigation. The Judicial Committee is to decide the discount rate to be applied to lump sum awards for damages for future losses in personal injury claims. Case details are available here. There are no judgments to be handed down this week. Ravat v Halliburton Manufacturing and Services Limited, heard 22 November 2011. Sugar (Deceased) v British Broadcasting Corporation and anor, heard 23 November 2011. In the matter of Peacock, heard 14 December 2011. Petroleo Brasileiro S.A. v E.N.E. Kos 1 Limited, heard 12 – 15 January 2012. 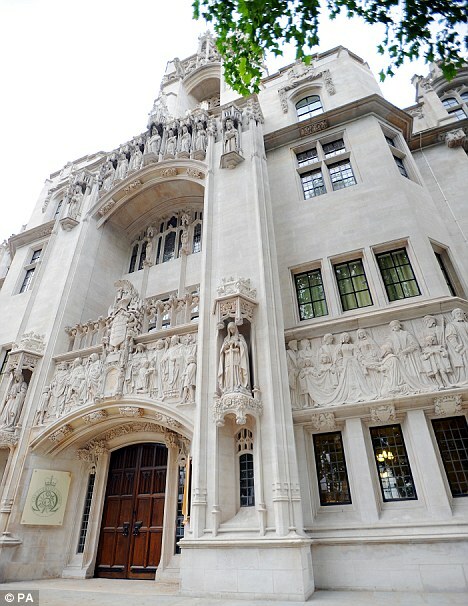 Leave a reply on "In the Supreme Court w/c 23 January 2012"